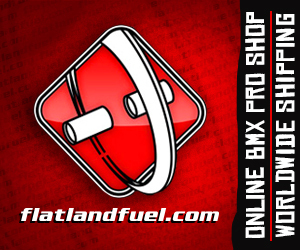 FIGHT THE WINTER BMX FLATLAND CONTEST 2017 PRO 2nd RUN HIGHLIGHTS BY MANUEL BERNARDO from Born to BMX on Vimeo. Manuel Bernardo is always on point with quick updates from the Fight the Winter contest every year. And today we have the 2nd Run Pro highlights featuring great riding from Dominik Nekolny, Kevin Nikulski, Wolfgang Sauter, Sebastian Grubinger, Dustyn Alt, Gilles Van De Sompel, Dan Hennig, Martin Drazil and many more. Martti Kuoppa celebrates his 37th birthday on November 1st, and does it in style with another NBD move. If you are counting, that’s the third “Must watch” of the week, and a new door opened with the possibilities when he learnt this walking man stem lash (I think we can all see whats coming!)! The man is on a roll and its beautiful to see this kind of progression in our sport. John Yull got inspired by Martti Kuoppa’s walking man stem lashes the other day and applied MK’s technique of switching feet on the stem to the foot jam decade. Dub over at igi just published this dope line from Benjamin Hudson, filmed during a practise session at Flatark. Style and flow for days! Darcry 66 just dropped this nice highlights edit from the Bike Days qualification featuring sick riding in order from Oleg Efimov, Naoto Tamaru, Martin Drazil, Dominik Nekolny, Pfriem Benedict, Terry Adams, Dub, Moto Sasaki, Hiroya Morizaki, Viki Gomez, and Matthias Dandois! Hit play! Tightly produced Official edit from the NetBuilding FlatDance 2013 contest in Slovakia featuring riding from the likes of Adam Kun, Dominik Nekolny, Martin Drazil and many more! Martin Drazil 2013 Spring shot from martindr on Vimeo. Always a consistent amount of footage coming from the riders in Prague. Check out Martin Drazil’s latest edit, real nice steam jump through frame to left hand halfpacker around 00:37, and repeats later in the edit in better light. New Stage – Prague Riders! When I think of the Czech republic I think of Dominik Nekolny. Of course, there are other riders killing it over there too, check out this nice edit featuring Martin Dražil, Pavel Dort, Tomáš Vejmola, and Mates Tuček.